That said, it doesn’t for a moment convey the incredible inventiveness and hilarious insanity that went on during the show, and behind the scenes. They frequently ad-libbed, especially when they couldn’t find the scripts. The “Time for Beany” live show eventually became “Beany and Cecil”, the animated cartoon that all us baby boomers loved in the early 60’s. But the animation could never, no matter how much we loved it, surpass these live shows. It was rumored that Albert Einstein liked it so much, he stopped work every day to watch. He was addressing a group of Nobel prize winners in 1950, and stopped abruptly, telling his audience he had to leave since it was “Time for Beany”. Groucho Marx of the Marx Brothers wrote that it was the only show adult enough for his young daughter Melinda to watch. In fact, Groucho even made “Time For Beany” references on his own popular early television program, “You Bet Your Life”. Actor Jimmy Stewart pleaded with Paramount not to change the show’s air time so that he would not be forced to miss it. When actor Lionel Barrymore worked on the MGM set, studio head Louis B. Mayer forbade television sets on the lot because he felt they were a threat to the motion picture industry. 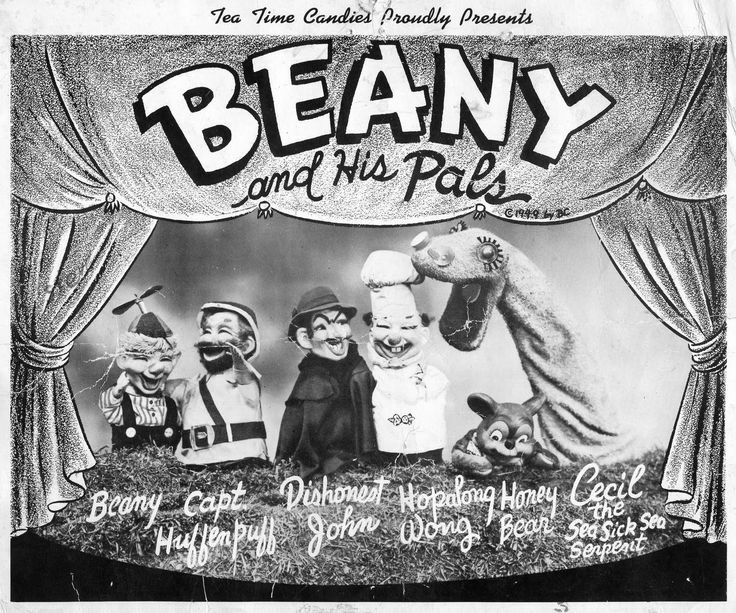 So, Barrymore was forced to send his chauffeur to a local bar to watch “Time For Beany” and return to report on the plot developments in the puppet show when he wasn’t able to see it himself because of the shooting schedule.